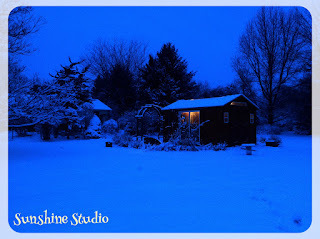 Isn't she lovely in the snowy evening? 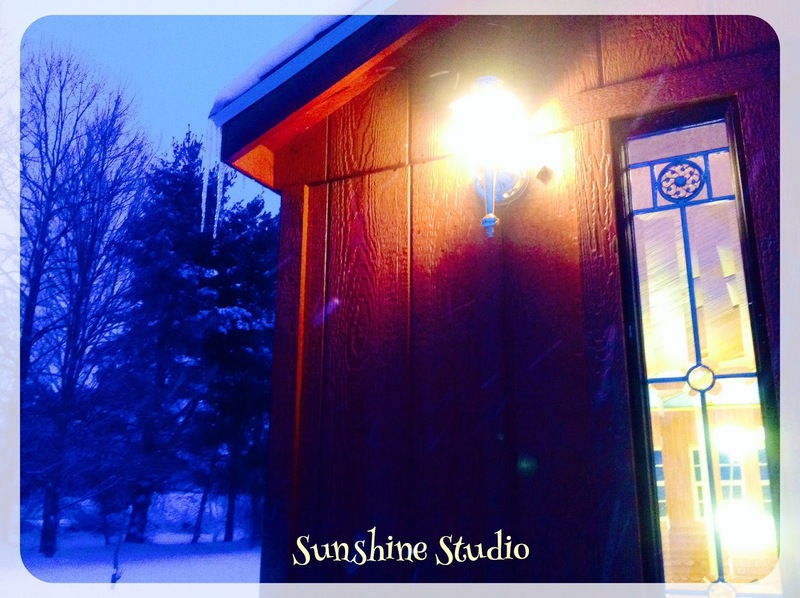 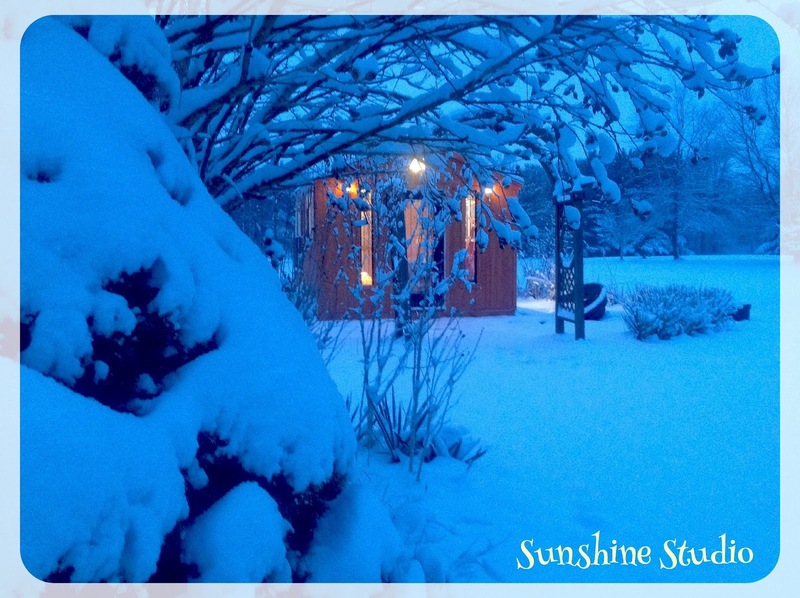 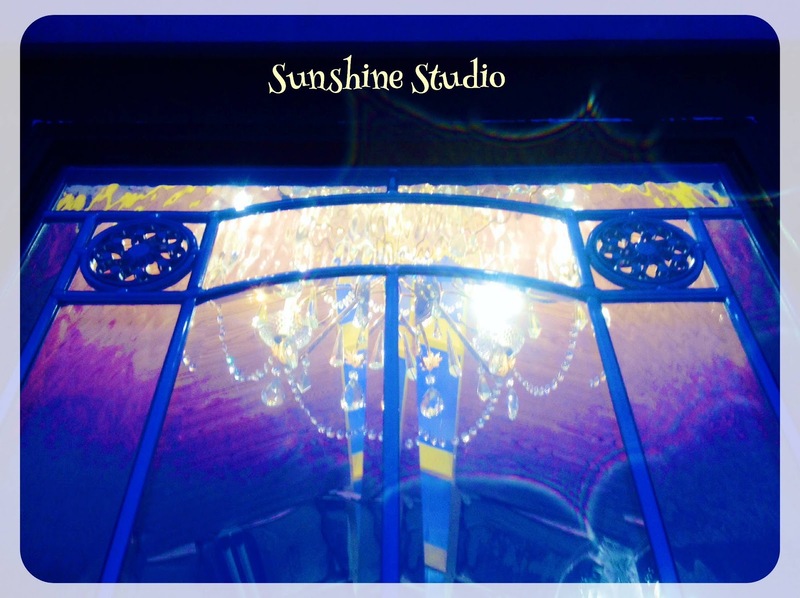 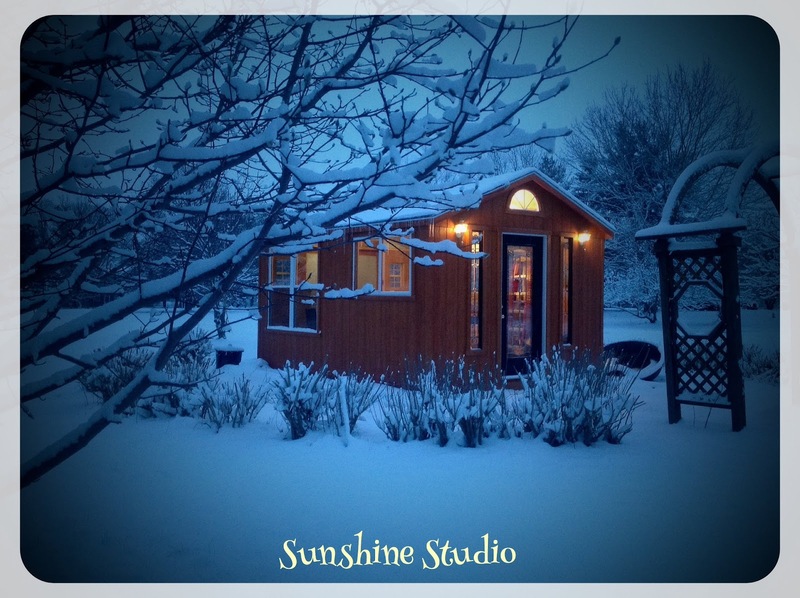 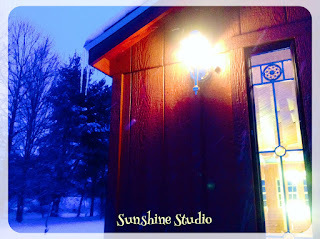 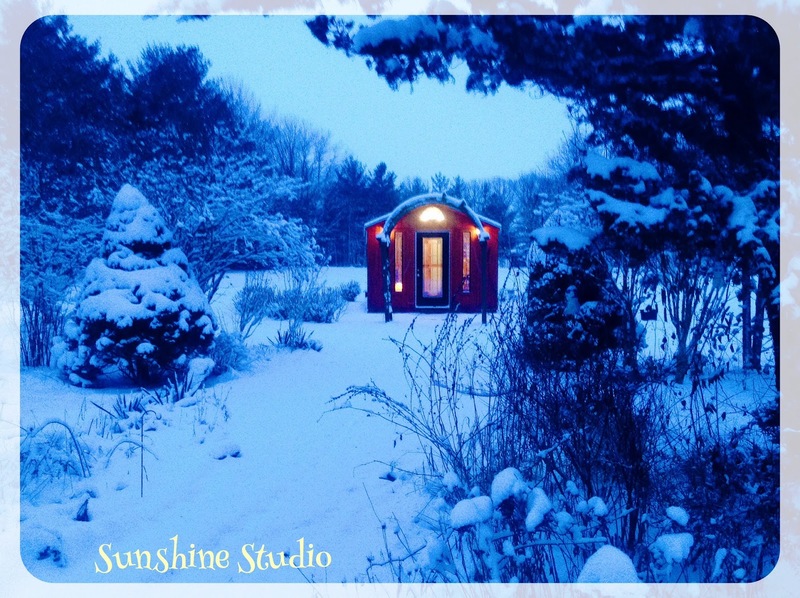 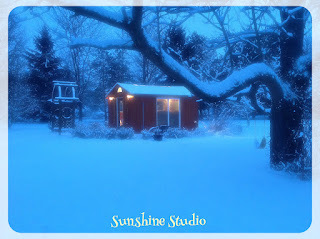 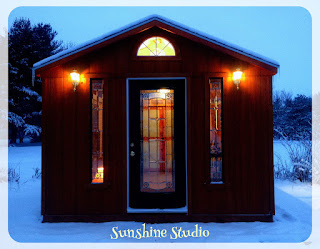 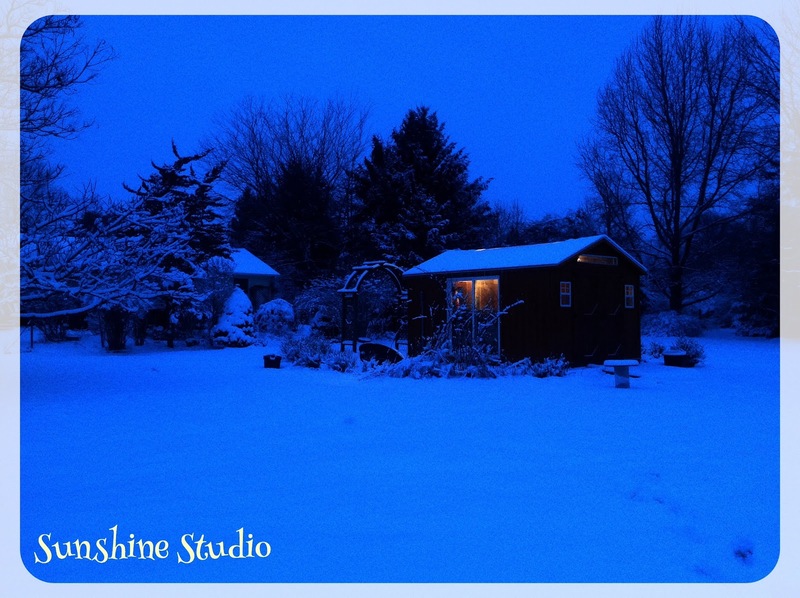 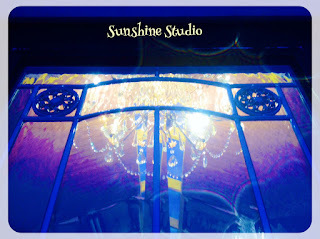 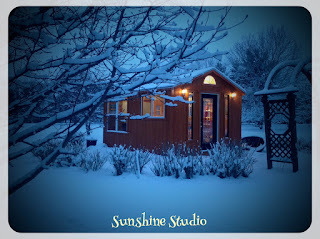 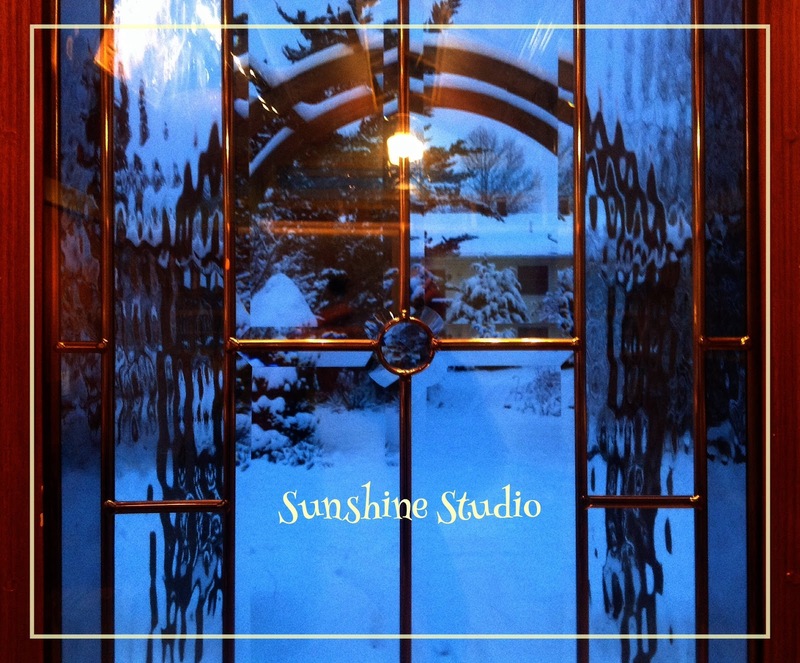 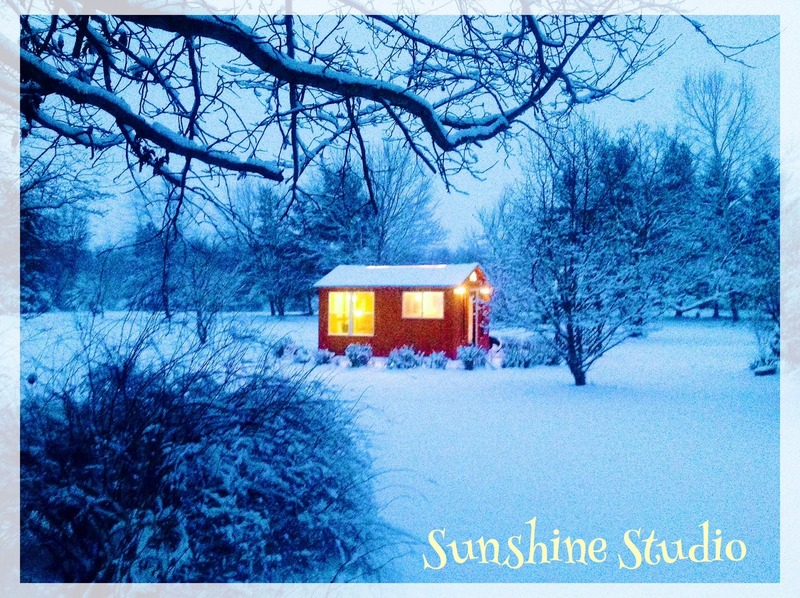 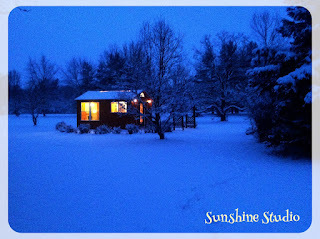 My Sunshine Studio is cozy and warm in spite of the cold. I can't wait to finally move in so I can while away the hours creating art out there in the gardens, no matter the weather.